Win A Luke Bryan Kill The Lights Candle! 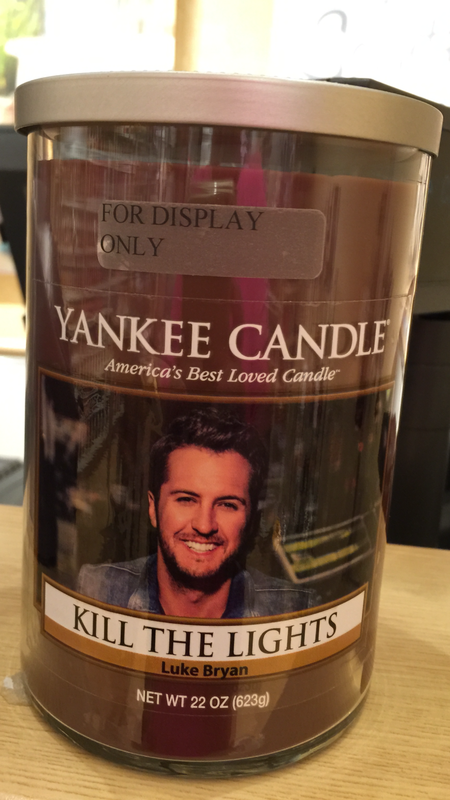 Win a Luke Bryan “Kill the Lights” vanilla-bourbon scented candle from Yankee Candles! Click here to enter. This scent candle is available in the Yankee Candle store but it does not have Luke Bryant’s picture on it. You need to enter to win it.